American artist Andy Warhol (August 26, 1928 – February 22, 1987) is one of the most famous artists of modern times, reaching celebrity status not only for his artwork but his quirky personality as well. Originally from Pittsburgh, PA, Andy moved to New York City to become a commercial illustrator. He worked in a wide range of media including painting, drawing, sculpture, photography, and film; and was a founder of the 1960s Pop Art movement, a style influenced by mass produced goods and popular entertainment. Use a pencil to draw a crescent shaped moon. Add a half circle for the eye, a simple nose, and lips for mouth. Make sure to draw lightly until you get it right. Once you are happy with the moon and its detail, retrace your moon shape. Use a bright yellow tempera paint and fill in the moon shape. Make sure not to paint over the eye. With black tempera paint outline the eye, curved eyebrow, and lashes. Next, begin at the top and add short dashes following the curved edge of the moon. Next, add simple stars in the background with black tempera paint. Let dry. Display the moon by surrounding it with large painted stars. Splatter some white tempera paint on large sheets of black paper for the background. 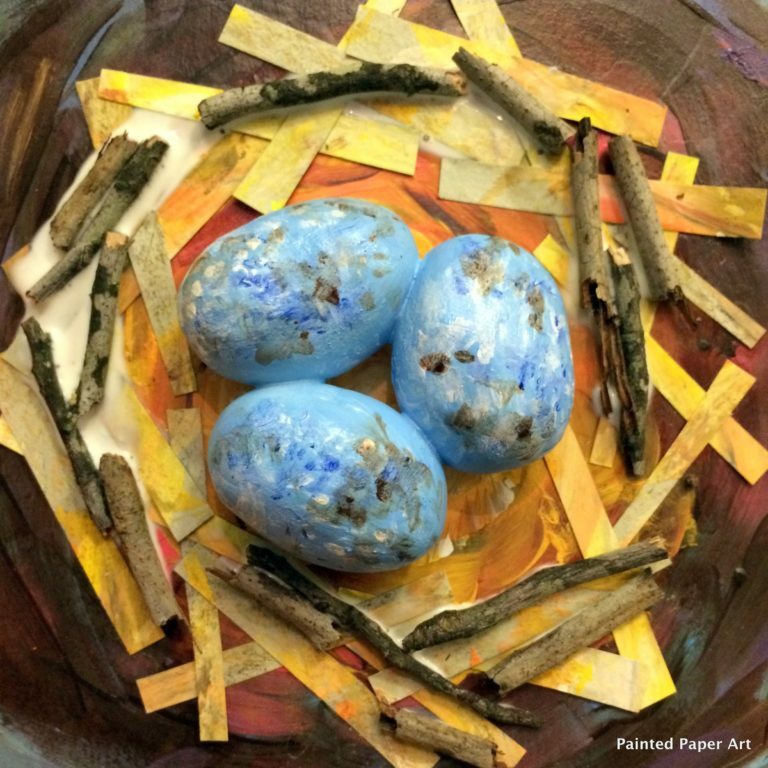 Sign up for the Painted Paper Art newsletter. © 2019 Laura Lohmann/Painted Paper Art. All Rights Reserved.